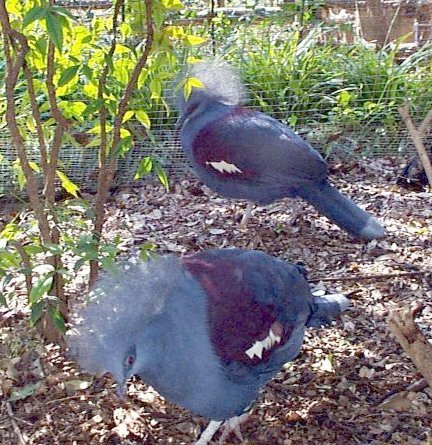 Crowned pigeons are larger than all other pigeons. They are mainly distributed throghout New Guinea. These particular pigeons receive their name from the lacy feathers on their heads. They rank among some of the prettiest and brightest pigeons. Usually it they are hunted for plumage. 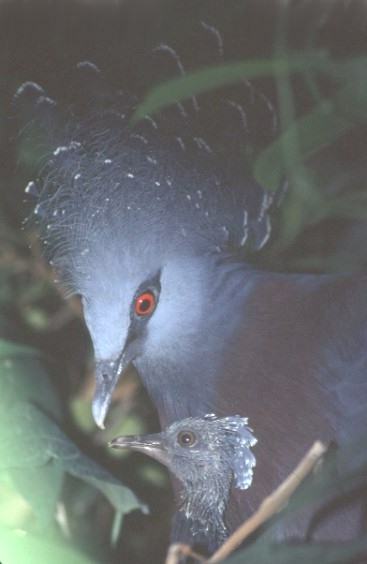 The nesting cycle of the Victoria Crowned Pigeon is for only one egg, and remains incubated in the nest for almost thirty days. 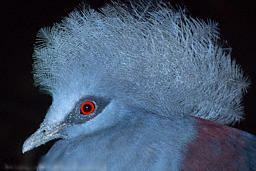 The White Crowned Pigeon is one of the larger pigeons. They can grow to be around eleven inches long. These pigeons have a white crown, where they derive their name from. Their plumage is usually very dark. These pigeons have iridescent emerald feathers on their necks. Johnston, Richard F. "Pigeon." World Book Encyclopedia. 1990 ed.